Iraq is reportedly planning to sell shares in the $1.3-billion Grand Faw container port to the public. The head of the Basra provincial council, Sabah Al-Bazooni, told Bloomberg Business that the local government in Basra will seek permission from Baghdad in the coming days to set up a holding company to sell the shares; Iraq has banned the holding company structure since the Saddam Hussein era. He added that the Council wants to list the holding company on the Iraq Stock Exchange, with the public shares representing a 25 percent stake, local government owning 26 percent, and foreign investors 49 percent. The council is in talks with American and Chinese companies with a view to possible investment. The project was first proposed in 2011 on a much larger scale that included an oil export platform, and with an estimated cost of $17 billion, but the subsequent collapse in the price of oil has caused it to be scaled back. Current planss are for 25 to 30 container platforms. Plans for the port have led to tensions with neighboring Kuwait, which is building its own ‘Mubarak Al-Kabeer’ container port nearby; Iraq had expressed concern that the Kuwaiti port may hamper may restrict access to Grand Faw. Posted in baghdad, Basra, Business, China, Construction & Engineering In Iraq, featured, Grand Fao, Grand Faw, Investment, Iraq Stock Exchange, Iraq Transportation News, kuwait, Ports, stock market, United States. Ministry of Transport has announce the investment opportunity of constructing the Major Port of Faw (Al Faw Grand Port) according to investment law No. 13 for the year 2006, amended and its regulations. Within 60 days from the date of publishing this announcement, applications shall be technically and financially evaluated, while the finally elected appliers shall be required to submit a 5 million $ letter of credit as a condition to start negotiations to ensure seriousness. Posted in Al Faw, Al Faw Grand Port, Basra, Business, Construction & Engineering, Grand Fao, Grand Faw, Investment, National Investment Commission (NIC), Ports, Transportation. Iraq’s Transport Minister has said that companies from the UAE, Iran, Turkey and China have offered to invest $7.4 billion dollars (8.6 trillion Iraqi dinars) for the development of the Grand Faw (Grand Fao) port project. The interested companies have not been named. Posted in Al Faw Grand Port, China, Citi, Citigroup, Construction & Engineering, Dinar, Dinar Daddy, Dinar Guru, Dinar Recaps, Dinar Vets, Grand Fao, Grand Faw, Iran, Ports, Transportation, Turkey, UAE, United Arab Emirates. 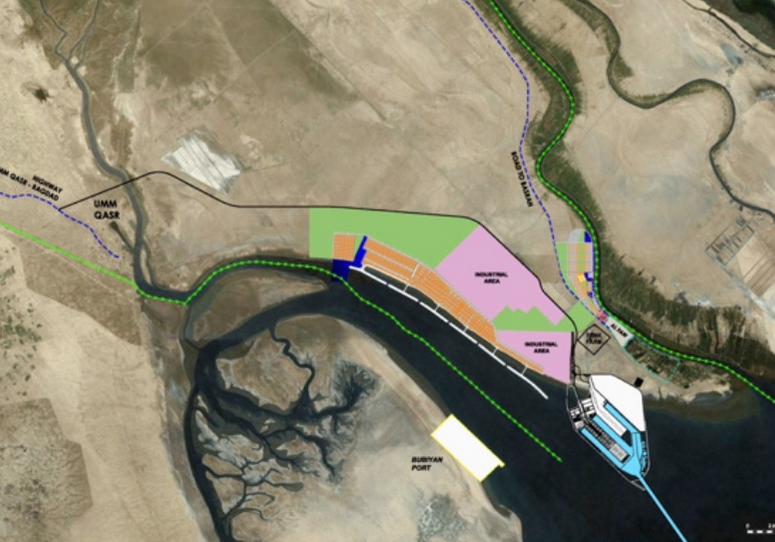 Iraq has reportedly invited global investors to bid for its multi-billion-dollar Grand Faw port project. The Ministry of Transport put the project’s total cost at around $6.5 billion (7.6 trillion Iraqi dinars), adding that only “serious and financially able” companies can bid. The port has a planned capacity of around 99 million tonnes per year, and will have a 39km container quay and another 2km berth, besides a container warehouse with an area of more than one million square metres. Posted in Construction & Engineering, Dinar, Dinar Daddy, Dinar Guru, Dinar Recaps, Dinar Vets, Grand Fao, Grand Faw, Investment, Ports, Transportation. Iraqi Transport Minister Baqr Jabr Al-Zubeidi (pictured) has said that Iraq is considering seeking foreign investors to fund the multi-billion-dollar Grand Faw [Grand Fao] port project. He added that some foreign companies have already expressed interest in investing in this project. To date, only part of a breakwater for the project has been completed, following “a big delay in the execution of that phase of the project.” Iraq Businesses News understands that this contract was awarded to the Greek company Archirodon. Italian firm Technital has prepared the designs for the port, which will have a capacity of 99 million tonnes per year, a 39-km container quay and another 2-km berth, in addition to a container warehouse of more than one million square metres. Posted in Archirodon, Business, Construction & Engineering, Dinar, Dinar Daddy, Dinar Guru, Dinar Recaps, Dinar Vets, Grand Fao, Grand Faw, Greece, Italy, Ports, Technital, Transportation. Iraq has decided to exempt foreign companies involved in the Faw Port project from customs duties and taxes. This decision was an attempt to accelerate the completion of the stalled project, through which Iraq has sought to confront Kuwait’s maritime expansion by building a similar port nearby. In April 2012, Iraq laid the foundation stone for the Faw Port project in the al-Faw peninsula in southern Basra. The project has an estimated cost of 4.6 billion euros ($6.1 billion), and the port’s annual handling capacity is predicted to be around 99 million tons. This would make it one of the largest ports in the Arabian Gulf region. Yet construction on the project has stalled and little progress has been made. The Greek construction company Archirodon was awarded the contract to build the port’s eastern breakwater. Yet the companies that will win contracts to construct the port’s main structure and western breakwater have yet to be revealed. There have been reports that four companies submitted distinguished proposals last month, and one of them will be selected within days. Posted in Al Fao, Al Faw, Al Faw Grand Port, Basra, Business, Committee, Construction & Engineering, Grand Fao, kuwait, taxation, Transportation.